RE: Pets/Guest - Read the first post! All Forums >> [Artix Entertainment Games] >> [AdventureQuest] >> [AQ Encyclopedia] >> Info. Submission >> RE: Pets/Guest - Read the first post! The paralysis stacks. If you paralyze the monster when it's already paralyzed, it gets paralyzed for an extra turn. Updated pets from the Wabio quest! Control: one hit, -43.375% damage. If it connects, then the monster is Controlled (1 turn, (50*[Energy Resist])% chance of hitting self). The monster can resist with a save at a +20 bonus (inflict with CHA/LUK; resist with CHA/LUK). Burn: one hit, -50% damage. If it connects, then the monster is Burnt (2 turns, power: 2.5). The monster can resist with a save at a +0 bonus (inflict with CHA/LUK; resist with CHA/LUK). The monster is also inflicted with Berserk (-20 BTH lean, 2 rounds). Blind: one hit, -47.5% damage. If it connects, then the monster is Blinded (2 turns, -(15*[Dark resist] BTH). The monster can resist with a save at a +0 bonus (inflict with CHA/LUK; resist with CHA/LUK). I assume it's just a copy paste error but right now the above says that rose doll does energy damage? MC: Gains +(1/sqrt(monster power))% damage per turn. Caps at +10% damage. From the world of EpicDuel, this fiery android is ready to take out anyone who thinks they're above the law! Its attacks gain power over time as it charges its core! Numbers thanks to In Media Res. Description thanks to Immortal God. Image thanks to Kay Oh. Release date thanks to Carandor. It gains +10 BtH and deals *85/95 damage. With four equally powerful hits, each hit does *1/4 damage. All this has ALREADY been factored into the above numbers. February 17, 2017: The pet was released. Any news about an eventual toggle on icemaster yeti to 'fit' icecream golem or nothin'? Earth pet, MC is like Fairy Godmother where you can toggle it to heal you instead of attacking. <Pet Name> will now heal you! <Pet Name> will now attack your foes! Starts battle in damage mode always. Uses the same AI as the pet version. MC: Comes with a skill. 3 hits, element is locked to Water, but it follows your weapon type. This is treated as a normal player attack. It does *2 Base/Rand damage, and non-LS stat damage is doubled (to STR/4, etc). If you're wielding a Magic weapon, then it does *4/3 Base/Rand damage. It respects your weapon's effects, and your weapon Special can occur. As EleComp, it gets a reduced SP cost. If that bolded part is on, then the skill gets a lower boost. *This doesn't affect Dunamis or Thernda because they can't boost Magic weapon attacks. Location: Given automatically to players who purchase the 20,000 Z-Token package. The version of the pet is based on the level of the character. Buying the package also gives access to the Heck's Kitchen shop. Instead of attacking normally, this pet boosts your Fire attacks by +(20 + 20 *MainStat/VStat)% damage. MainStat is STR for Melee, Dex for Ranged and INT for Magic weapons. If for some reason it's boosting an attack that isn't Melee/Ranged/Magic, then it uses CHA. This includes all normal player attacks and all weapon specials. The boost to magic weapons is *4/3 the above (Not shown in the pop-up). Spells are boosted by /2 the above. NOTE: All numbers below assume PlayerLvl=PetLvl, and MainStat=VStat. **Hello there! I'm Ramssy, and welcome to Heck's Kitchen! **I'm boosting Fire damage! Melee attacks get +«»%, Ranged get +«»%, and Magic get +«»%! Take Ramssy with you to give your enemies some Kitchen Frightmares! He'll use his culinary skills to amp up your Fire damage and make your foes look like idiot sandwitches! Numbers thanks to In Media Res. Image and pop-up messages thanks to DragonUltraMaster. Basic write-up and release date thanks to Carandor. March 31, 2017: The pet was released. Update to Poelala/Dunamis/Thernda guests: they no longer boost LS damage. Also, guest-Poelala has been updated to match pet-Poelala. She boosts Magic skills by the same amount that Dunamis/Thernda boost Melee/Ranged skills. Upkeep is *0.8 if you have the Friendship Bracelet equipped, or *1.2 if you don't. Scales to [Your Guardian Level]. 50% chance of 1 Melee hit, +10 BTH lean, 50% total damage. 50% chance of 3 Melee hits, +10 BTH lean, 150% total damage. 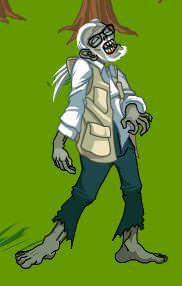 Call a legendary master of Zombies to your side that can summon a zombie horde to assault your foes! He is so skilled at directing them that he causes them to strike with greater accuracy! IMR, the Call Zombie Director has been removed from LTS while we still don't have its info sub. 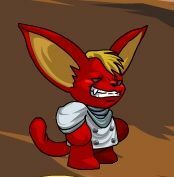 Fire/Water pet, seeks Fire/Water, attack 1 is the one that does Fire damage (focused and super hot steam) and attack 2 does Water damage (massive quantity of steam). 1/2 price due to promo item, but *2*1.1 due to ele-swap and MC. This little steam mech is able to unleash blazing hot steam or a slightly cooler but overwhelming amount of steam to deal Fire or Water damage, whichever is more effective! This little steam mech unleashes supremely hot blasts of steam that can thermally shock your foes! Once that's done, if it would do more damage it can then activate a hyper cooling system to unleash an ice-based assault! Darkness pet, has a 0.2 base lean since it's hitting with fists. Has two attacks, a single hit attack and a 3-hit attack where it gains a demon aura and hits harder. Making the 3-hit attack the MC, will deal +20% damage and have a 25% chance to do that attack. Got the tweaked Boiler Buddy set and rolled. So it can still be used as a Water pet, here's what I did. The old one is still what all of you that got it have, but the Lv 150 Boiler Buddy can be put through the item upgrader to give a Super-Heated Boiler Buddy, and vice versa. The Super-Heated Boiler Buddy attempts to do Thermal Shock on foes with a Fire attack, this attack pays 1/2 of pet damage + MC (so 22% Melee) to attempt to inflict Thermal Shock (25.38/2*Hits)% of the time (max of 2 hits). This lasts 1 turn, and if the mob's adjusted Ice Res is higher than its Fire Res, the Boiler Buddy will use an Ice attack (kinda like the Robocockatrice), otherwise it'll keep using its Fire attack. If the upgrader setup is not agreeable, poke Hollow or myself via PM and we'll figure something out, most likely just add the Super-Heated version directly to your character. Fire HP damage (2 Melee hits). MC is +5% damage. Fire SP damage (3 Magic hits). Deals *9/8 damage. MC is that it inflicts a Disease on your foe that only prevents SP healing (prevents [total damage]/2 points of SP healing). Yes, this prevents the mob from healing SP at the beginning of its turn. The monster can resist with a save at a +0 bonus (inflict with CHA/LUK; resist with CHA/LUK). Two different pets, one Fire and one Energy, pet attacks with one or the other depending on DB element. In the category of "things I've been putting off for a while now": Aria has a new Light Cat pet. Light pet. Has 2 attacks, a 1-hit attack with no lean, and a 2-hit attack with a +10 lean.